East Cape marked by lighthouse (141m). East Island (Whangoakeno) left. 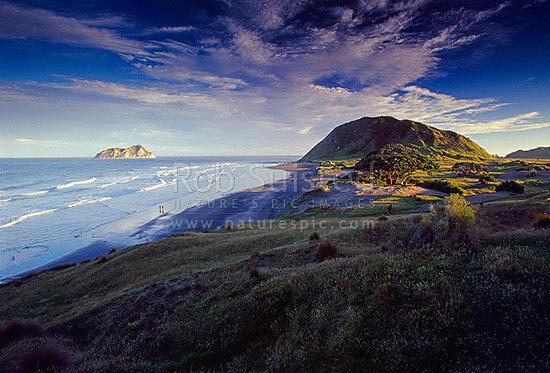 Two people on beach, East Cape, Gisborne District, Gisborne Region, New Zealand (NZ), stock photo.